A second surprise after Kursi on our drive around the Sea of Galilee was Hippos, known as modern Sussita. 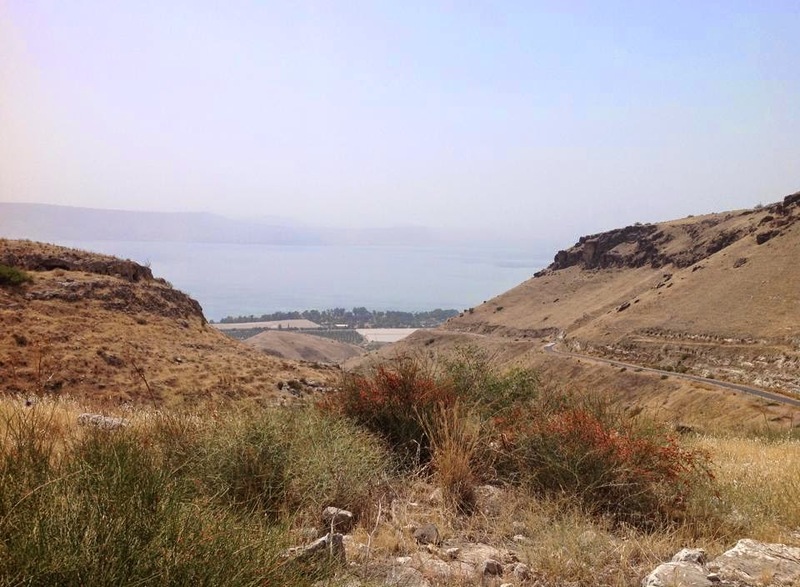 The city is placed on a hill overlooking the Sea of Galilee. It is very near the Syrian border a couple of km along a kind of barren hardly used road, replete with warnings. We drove up the 350m hill in the searing 40+ heat and passed a few mad cyclists who had given up and were lying under a tree. We walked about half a k to the site. 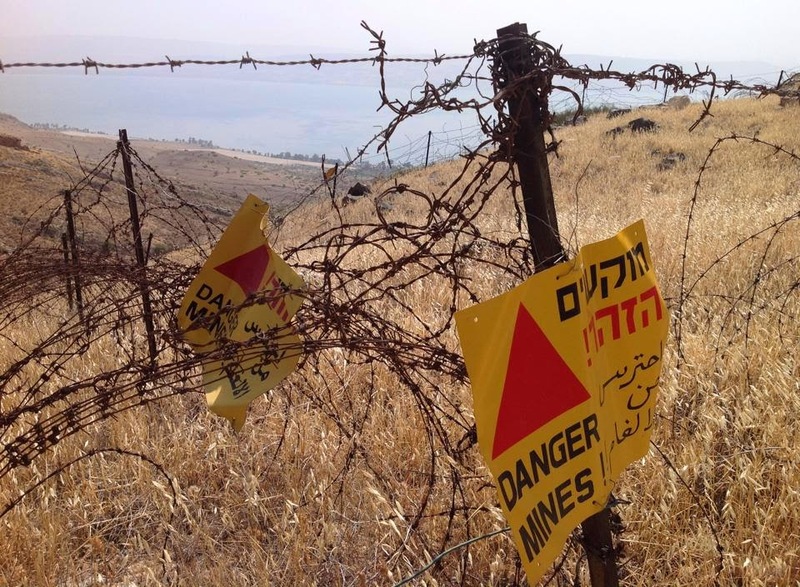 The path was flanked with warnings of landmines. 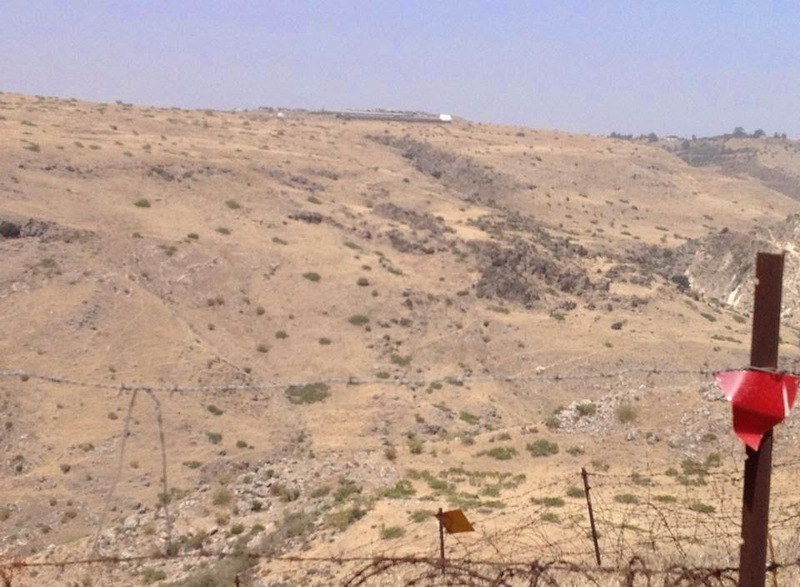 The place had been important in the Six-Day War of 1967 and we thought we could see a Syrian base up on the hill overlooking us. The site is a wreck but amazing. 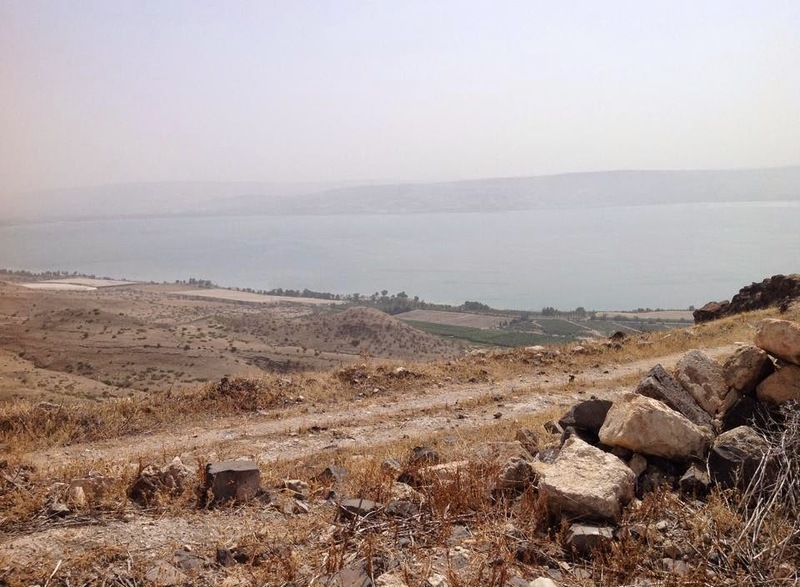 First, there are sensational views east over the Sea of Galilee. Secondly, you discover a city that was really important at the time of Jesus. It was one of the Decapolis, a ten city area over the Jordan. It is perhaps from here that Legion came (see the previous blog on Kursi). Perhaps after being set free of demons he travelled along the sea and up the hill first to Hippos to tell the people of the town what the Lord had done for him (Mark 5:1-20). From here he may have traveled to the other cities. Anyway, the city was critical to oversee ports on the western lake and very Greek and Roman, rather than Jewish. It was an important fortress back in the day. Back in the Maccabean revolt, the city was overcome by the Maccabees and the men forced to convert to Judaism and were circumcised. The city under Roman rule was given to Herod the Great (here he is again) in 37 BC. 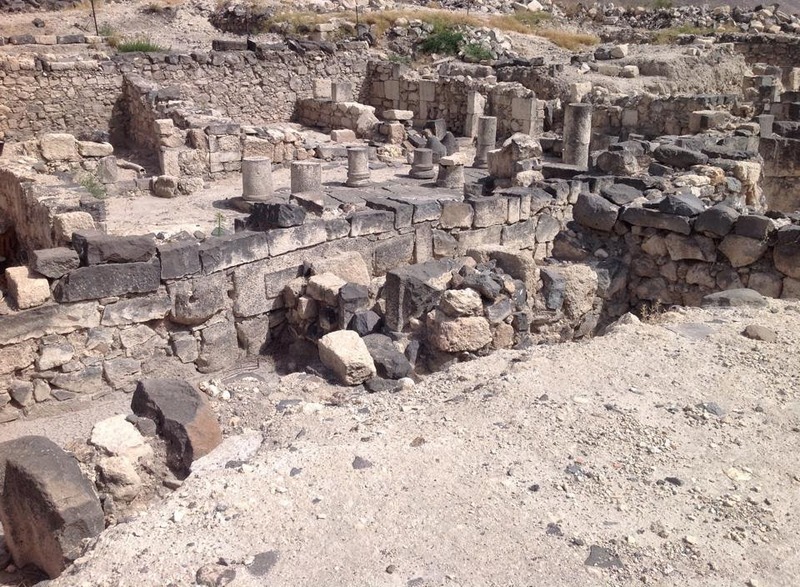 It was a very pagan city and stood in enmity to those who lived in the cit of the very Jewish city, Tiberias, which is almost directly across the lake. After the Bar Kochba revolt it was rebuilt and many things added, such as a theatre (below). Despite there being no mention, there is no doubt in my mind that Jesus visited this place and preached in the synagogue at that time.